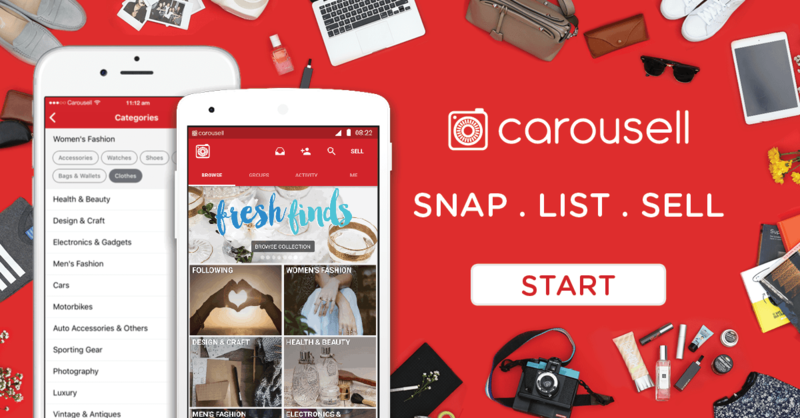 Mobile marketplace startup Carousell has reportedly closed a Series C round of between $70 to $80 million this week, according to TechCrunch‘s anonymous sources. At Carousell, we are laser-focused on our mission of building a system to inspire everyone in the world to start selling. Since our US$35M Series B funding in August 2016, we’ve expanded rapidly from 35 million listings to now over 95 million listings globally as of September 2017. We are always looking to get in touch with new investors and partners to help us reach our goals. We don’t have updates on funding-related news to share at the moment, but we will be in touch when we have a significant update to share. As the leader of in the region’s second-hand goods market, this funding will propel its ambition of becoming a powerhouse in online classifieds. This funding will also give it a competitive edge against its e-commerce rivals which is backed by big players like Sea and Alibaba. For one, Shopee’s parent company has raised close to a billion US dollars in its IPO. 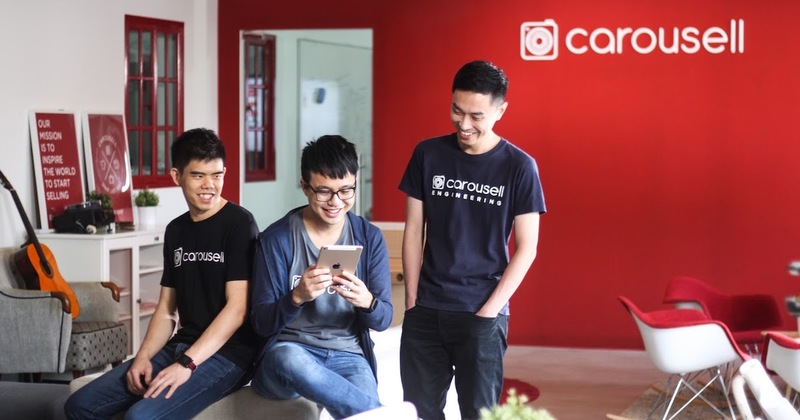 Prior to this new funding, Carousell had raised $41 million, including a $35 million Series B in August last year, from investors that include Rakuten, Sequoia Capital, Golden Gate Ventures and 500 Startups. According to TechCrunch, Carousell’s annual gross merchandise volume (GMV), which indicates the total value of goods sold across a platform, stands at $5 billion. This is significantly higher than its rivals. In the same report, TechCrunch said that Shopee only chalked up $1.15 billion last year, and based on the first half of 2017, is on track for $3 billion. Meanwhile, Lazada did not disclose any figures but claims to be ahead of Shopee. However, while Carousell’s figures are higher, we should keep in mind that GMV is a less relevant revenue metric for Carousell as compared to its two counterparts. 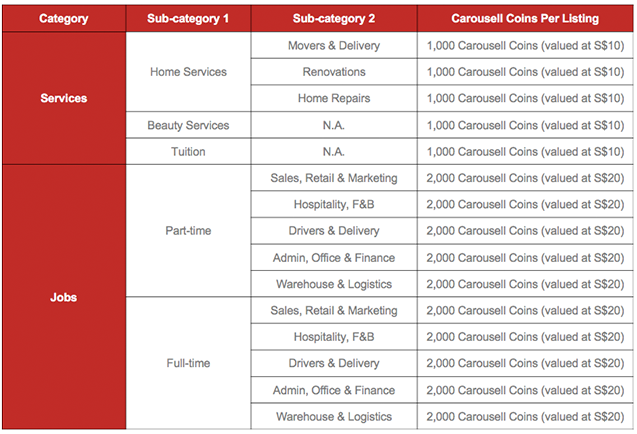 As a source explained to TechCruch, Carousell adopts a business model in which it monetises certain vertical only, such as automative, jobs, property, and services. This is a very smart move because not only are these goods typically higher in terms of basket size and margin, but paying customers (the providers of the goods and services that are bought) are likely to be repeat customers as well. It also means that consumers can also continue to use Carousell to snap and sell their unwanted goods for free, leading to higher engagement levels. Inadvertently, this can entice consumers to check out Carousell’s monetised verticals too. Another of TechCrunch’s source also revealed that the startup is on its way to reach double-digit million US dollar revenue this year. Carousell’s monetisation strategy had always been unclear, but its three acquisitions – Caarly, Duriana, Watch Over Me – over the past year have surely been a great boost to the startup. In an interview with CNBC last November, Carousell co-founder and CEO Quek Siu Rui said that the company was seeking ways of monetising its marketplace through offering premium listings and services for a fee. In line with this, it has recently launched Carousell Coins, an in-app virtual currency, to be used to cover listing fees where they are required, or to purchase Bumps. Bumps is a paid-for feature that allows sellers to enhance the visibility of their listings, and was introduced in May this year. In addition to these, Carousell will also be launching a Carousell Pro app targeted at sellers, real estates, and recruiters on November 21. This new platform for professional sellers will apparently help to create, manage, analyse their marketing efforts. This includes the ability to do deep-dive analyses of listings’ performance, top searches, and users’ peak hours. Sellers will also have access to an Enhanced Chat feature, connecting them directly to potential buyers for live online chats. Carousell Pro will be available on a subscription basis, and sellers can choose from different price plans starting from around US$440 for a 12-month subscription. The packages – some of which the company has already begun pre-sales for – vary in terms of the numbers of free listings and Carousell Coins that subscribers get. A spokesperson told Tech in Asia that Carousell Pro will subsequently be rolled out to sellers in the site’s Cars and Services categories, though no particular date was mentioned.